IIT Guwahati's Main Auditorium will once again populate itself with camera-flashing enthusiasts and several teenagers experiencing what could be their first ever exposure to a concert outing. Known for its ability to hold impressive crowds, Alcheringa did not only gradually become an instrumental college festival for IIT Guwahati and North East, but it soon captured the attentions of acts from across the country representing varying genres. Following the template of providing something-for-everyone, the festival's 22nd edition will kick off tonight with performance from Ustad Shahid Parvez Khan. The Padma Shri Award winning sitarist will headline the Classical music night called 'Saaz', further busting the stereotypical assumption that North East is only a hotbed for Rock or Metal music. As an upgrade to previous editions, four unique stages will represent a particular style or sub-culture. 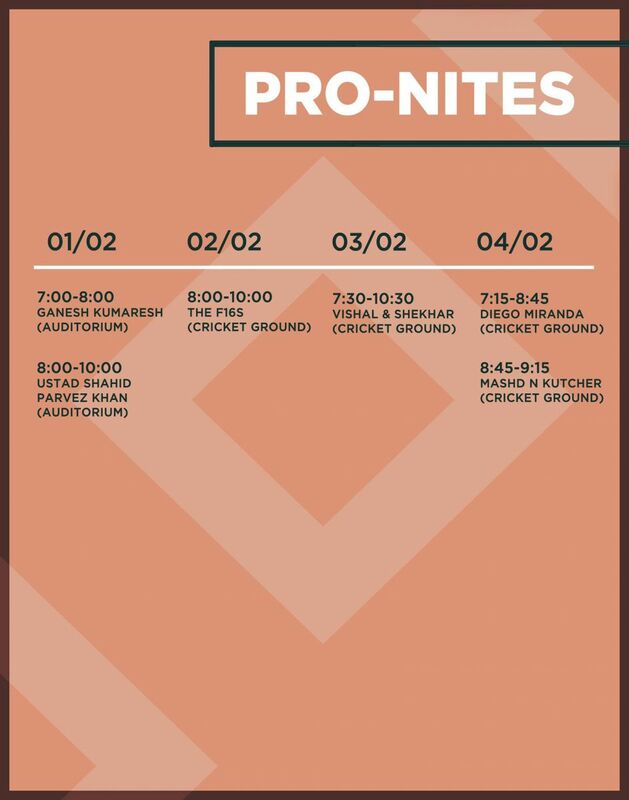 For the other three unique stages, as the sound demands, the festival will move to the outdoor Cricket Ground that will host the remaining live music acts. The theme for Alcheringa's 22nd edition is 'Echoes of Innocence', a short insight and a small trip to our innocent childhoods. One must then wonder the programming of the second day - the guitar-smashing, stage-smashing, refreshingly loud set of Chennai-based act The F16s. The band will perform on 2 Feb for the rock night effort 'Juggernaut'. Pentagram is back on the live music front, however, its frontman Vishal Dadlani will be the only performing musician from the band on day 3. The vocalist will join his Bollywood project partner Shekhar Ravjiani for Alcheringa's Bollywood outing on the third day called 'Crescendo'. The announcement of this act received the maximum response rate on IIT Guwahati's social media channels and, unsurprisingly, the Bollywood duo's event received maximum brand and corporate support. (Some things stay consistent in all regions of India). 'Blitzkrieg', which essentially means swift victory through intense campaign and also the stage name for EDM acts, is exactly what the organisers would expect at the end of the day 4. The day 4 (at Blitzkrieg) will host Portugese House Producer Diego Miranda, only to end the day and the festival with headlining act and powerhouse duo from Australia - established House producer producers Mashd N Kutcher. Apart from the mentioned headliners for the four day, Alcheringa has ensured the music keeps flowing through an approach to display world carnival with performers from three different countries: Portugese violinist Corvo Nuno Flores, Israeli singer Limor Ballas, Danish Brock guitarist Christian.